One of my Ohio NPOTA activations in 2016. You may not know this, but your station is in a Maidenhead grid square. The entire world is divided into thousands of these 1° latitude × 2° longitude squares, each one with a unique designation. They’re all part of a geographic location system adopted in the 1980s at a meeting of the VHF Working Group in Maidenhead, England. The objective of the ARRL International Grid Chase is simple: Work stations in as many grid squares as possible and upload your log data to ARRL’s Logbook of The World. If you are not currently registered with Logbook of The World, this is a good reason to get started. Go to https://lotw.arrl.org/lotw-help/getting-started/. Registration and uploading are free. Just turn on your radio and start calling “CQ Grid Chase,” or listen for others doing the same. Make the contact, enter it into your log, and you’re on to the next (see the sidebar, “Tips for the Chase“). The ARRL International Grid Chase is open to all amateurs, regardless of location or license class. Any operating mode is eligible as well as every band, except 60 meters. You’ll find the complete rules at www.arrl.org/aigc2018. But What’s My Grid Square? Determining your grid square is easy. David Levine, K2DSL, has a great online calculator at www.levinecentral.com/ham/grid_square.php. Just enter a postal address, zip code, or even a call sign, and David’s site will tell you the grid square for that location. For example, enter “W1AW” and the site will return “FN31pr.” The letters “pr” designate the grid square field, but you won’t need that for the Chase. Just FN31 will do. The ARRL online store (www.arrl.org/shop) also offers grid square maps of the US and Canada, as well as a grid square atlas of the entire world. 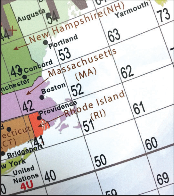 Figure 1 — Grid square FN51 is mostly salt water, except for a narrow strip of land along the “sole” of Cape Cod and a portion of southeastern Nantucket Island. This image is taken from the ARRL Amateur Radio Map of North America, available at www.arrl.org/shop. Some grid squares have thousands of amateurs in residence, but others have only a few, or none. Those “rare” grid squares will be hot properties in 2018, and hams operating from those locations can expect serious pileups. Of course, nothing prevents you from hopping into your car and driving to a grid square where you are the only amateur on the air. There are some grid squares in coastal areas, for example, where most of the territory is comprised of water. Look at Figure 1 and notice that grid square FN51 is mostly in the Atlantic Ocean, except for a relatively narrow strip along the “sole” of Cape Cod and a small portion of southeastern Nantucket Island. If you’re taking to the road, some vehicular GPS systems will display grid square locations. You can also use apps for your smartphone or tablet, such as Ham Square (iPhone, iPad) or HamGPS (Android). However you play it, the ARRL International Grid Chase is going to be big. By the time you read this, “opening day” will be less than 2 months away. Better sign up with Logbook of The World (if you haven’t already) and prepare your gear! Any contact can count for your Chase score; it doesn’t have to involve an exchange of grid squares. As long as other operators participate with Logbook of The World, you’ll get the credit automatically when they upload their logs. This means that contest contacts will count, as will contacts with special-event stations, or any other on-air activity. As long as stations upload their logs to Logbook of The World, you’re good. The new FT8 digital operating mode is ideal for the ARRL International Grid Chase. You can set up FT8 to call CQ and automatically respond, completing a contact in a little over a minute while you watch. When the contact is complete, simply click your mouse to trigger another CQ. You’ll find FT8 within the free WSJT-X software suite at https://physics.princeton.edu/pulsar/k1jt/wsjtx.html. Watch for Logbook of The World users on your favorite online DX clusters. Most clusters have the ability to filter and display only stations that participate in Logbook of The World; other clusters can at least flag the stations with a symbol. This will save time when you are looking for contacts to increase your score. If you enjoy JT65, JT9, or the FT8 digital modes, check out the free JTAlert for Windows at http://hamapps.com. This software works with JT65-HF or WSJT-X applications to automatically flag Logbook users and will even alert you when a station is on the air in a needed grid square. Upload often. Grid Chase totals are refreshed at the end of each month. With that in mind, it pays to send new data to Logbook of The World every couple of days, or even daily. Satellite contacts count. Contacts made through earthbound repeaters do notcount for the Grid Chase, but repeaters in outer space are the exception. There are low-orbiting satellites that support CW, SSB, and even FM contacts. See the AMSAT-NA website at www.amsat.org. Try “circling” grid squares. It’s easy to set up a portable or mobile operation at the intersections where corners of grid squares meet. For example, you could operate in one grid square and then drive west across the “border” into the next square. Make some contacts there and then drive north into the adjacent square. Bang out more contacts, and then head east into another grid square. This is a very common technique used by VHF “rover” operators. In a single day, you can operate from four different grid squares! Take the Chase on vacation. Take a radio along when you travel and work new grid squares at your destinations. 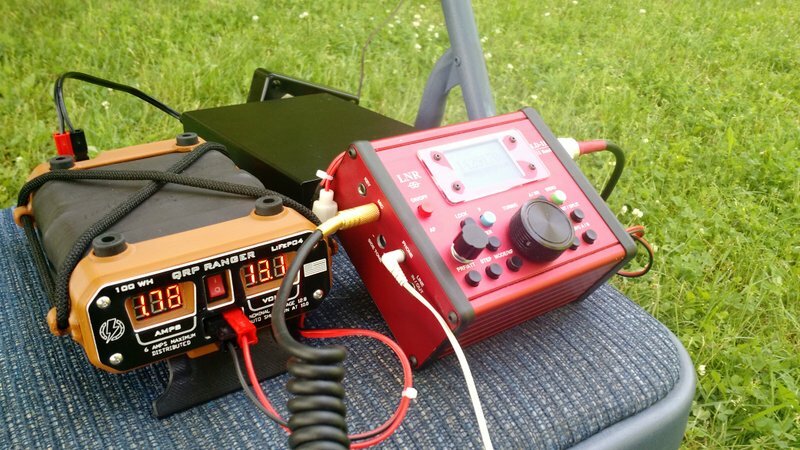 Even a handheld FM transceiver can be used to work a new square on a simplex frequency. In a fashion similar to NPOTA, using Logbook of the World (LoTW – see http://www.arrl.org/logbook-of-the-world) as the QSOs data source, the 2018 ARRL International Grid Chase activities will be scored MONTHLY on the ARRL web site at http://www.arrl.org/aigc2018. Each month we will start fresh, recognizing participation through various tables and data selection options on the web page. Monthly pages will be added to track each calendar month’s activities. Once the year is completed, an annual summary will be released. 1. Objective: On a Monthly basis, on amateur frequencies from HF to Microwaves, to contact amateur stations in as many different 2 degrees by 1 degree maidenhead 4-digit grid squares as possible. 2. Dates/Event Period: The event runs from 0000 UTC January 1, 2018 through 2359 UTC December 31, 2018. At the beginning of each month during 2018, the monthly scores will be reset to zero to begin the new month of competition. 3. Bands: All FCC-authorized frequencies (excluding the 60 meter and 600 meter bands). Permitted bands: 160m, 80m, 40m, 30m, 20m, 17m, 15m, 12m, 10m, 6m, 2m, 1,25m, 70cm, 33cm, 23cm, and all higher FCC-authorized microwave bands. 4. Modes: Three mode categories will be recognized – CW, Phone and Digital (all voice modes count as Phone, all digital modes count as Digital). 5. Methods of contact: All methods of contact are permitted (excluding QSOs made through repeaters, digipeaters, Echolink, IRLP, or non-satellite cross-band QSOs which do not count in this event). Satellite and EME QSOs are permitted. 6. Station types: Fixed, Portable, Mobile/Rover and Maritime Mobile (MM) stations may participate (MM stations are not eligible for DXCC, WAS or WAC credit however). 7. Exchange: Call Sign and Maidenhead 4-digit grid-square locator (see www.arrl.org/grid-squares). Exchange of signal report is optional. When operating during a contest, the contest exchange takes precedence over the grid square exchange. QSOs made with a club or special event (eg, 1×1) call count only for the club, not for the operator. As with other similar award’s criteria, if a station is located on the intersection of 2, 3 or 4 grid squares, the over-the-air exchange need only include just one grid square (confirmation for the adjoining grid squares will be made by the station operating from the intersecting grids through the station location in TQSL https://lotw.arrl.org/lotw-help_devel_en/stnloc/?lang=en). TQSL Station Locations will allow multiple adjacent grids (formatted as “grid,grid,” etc). MM stations would have DXCC Entity set to “none”. For information on LoTW TQSL, see http://www.arrl.org/quick-start-tqsl. All QSOs within your DXCC entity qualify. See also section 9 below for Awards with specific requirements. 9. Awards: As all contacts are being uploaded to LoTW, in addition to the overall monthly and annual recognitions of the ARRL International Grid Chase, participants may use their contacts toward other ARRL awards (see the list of ARRL awards at http://www.arrl.org/awards). These include ARRL’s grid-based awards of VHF-UHF Century Club (VUCC) and the Fred Fish Memorial Award (for contact with all 488 US 4-digit grid squares on 6 meters), as well as Worked All States (WAS) and WAS Triple Play, DX Century Club (DXCC), and Worked All Continents (WAC). 10. Recognitions: Achievement in collecting grid squares in the ARRL International Grid Chase will be recognized by categories of Band, Mode, and Continent (other leaders types will be developed as warranted) through our interactive web page monthly and at year end summary. Online certificates of achievement will be developed for Monthly and Annual recognition. 11. Resources: A variety of resources offer grid-square maps and mapping tools. This entry was posted in Announcements, Events, News and tagged ARRL International Grid Chase. Bookmark the permalink.